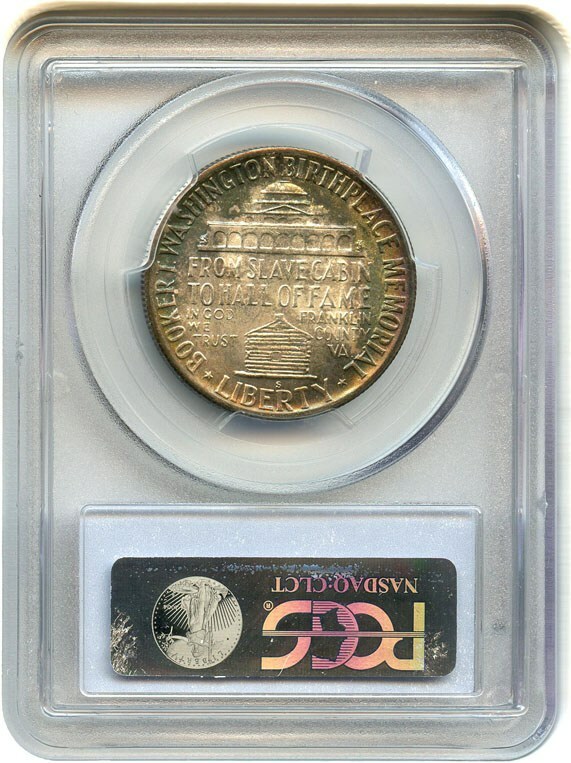 Item sold in auction: Internet Auction # 743. Closed On: Sunday, March 17, 2013 6:48 PM. 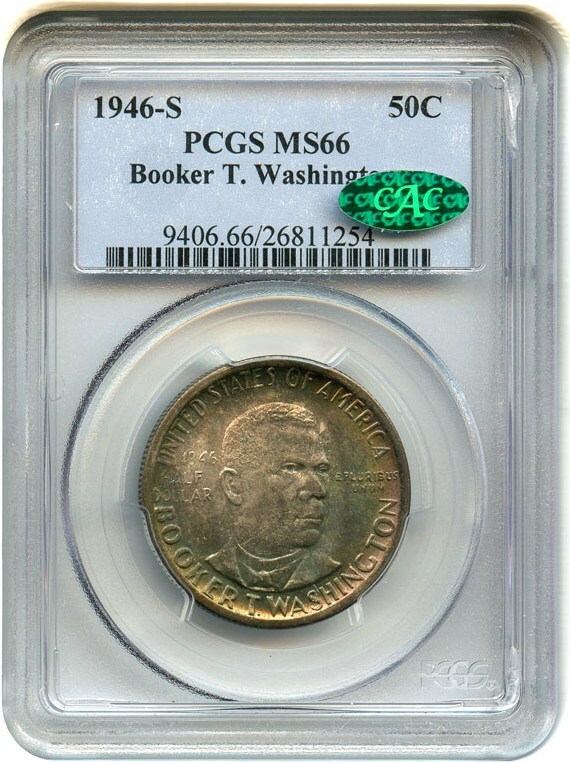 Gorgeous rich toning. 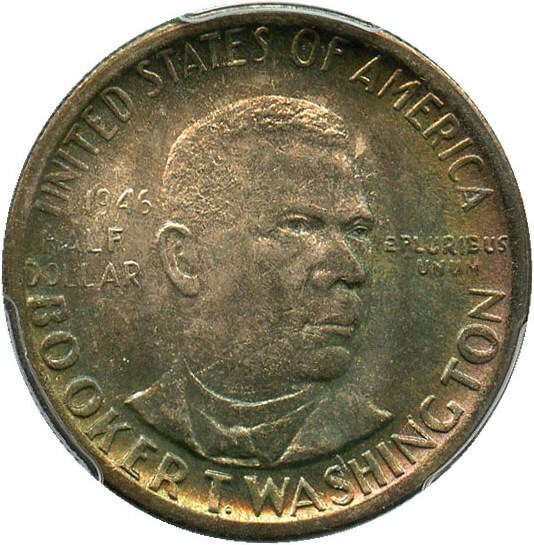 Mintage of 500,279 coins issued to commemorate the life of Booker T. Washington. 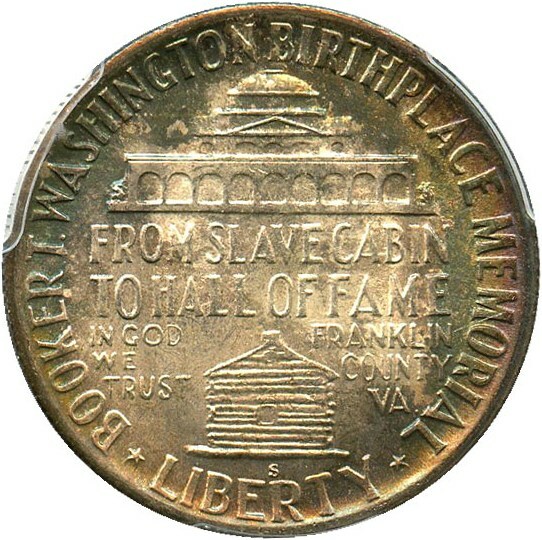 P & D mints also struck in 1946. PDS sets struck from 46'-51'. CAC approved for quality and eye appeal.